You can appoint a friend, relative, or a professional as your Attorney. This allows them to act on your behalf. 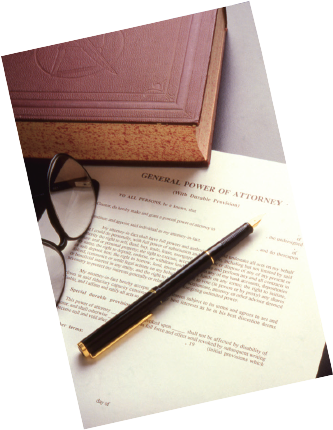 A General Power of Attorney allows the Attorney to make decisions and act in any matters relating to the Donor’s property and affairs (with the exceptions of making a Will, making gifts or performing in the Donor’s role as a Personal Representative, Administrator or Trustee). A Lasting Power of Attorney for Property and Financial Affairs authorises the Attorney(s) to make decisions about the Donor’s property and affairs. The Powers extend to all matters concerning the Donor’s property and financial affairs: this could include buying property in the Donor’s name, selling property belonging to the Donor, (including the Donor’s home), managing their investments, continue to run their business and make decisions about the Donor’s healthcare and payment for this care. A Lasting Power of Attorney for Health & Welfare covers decisions about a Donor’s personal welfare which can include where they live, how they are cared for and what healthcare they receive, for example the decision to send the Donor to a nursing home.